If you liked this show, you should follow Breakthroughbusiness. 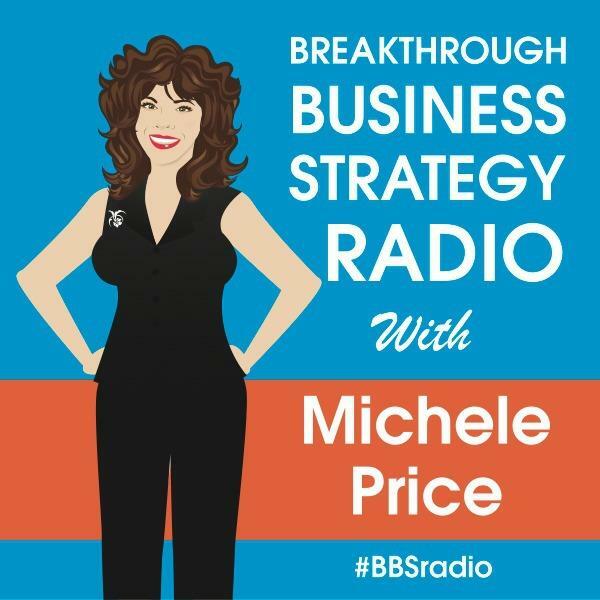 Fractional CMO, Digital Marketing Strategist, and Leadership Keynote Speaker Michele Price brings you weekly access to the top minds to Master the Inner and Outer Game of business. Breakthrough Radio is a global business radio show that delivers high impact & pioneering knowledge for leaders in business. Entrepreneurs, startups, sales/marketing/IT professionals join us every Monday. Howard Love, Angel Investor, Founder, Entrepreneur, and Author of The Startup J Curve - The SIx Steps to Entrepreneurial Success. Don Cooper, The Sales Heretic (tm) brings us every first Monday of the month Breakthrough Sales tip, growing our revenue and profits. Jeff Shuey, Founder NuNalu, Jeff joins us after our featured guest, discussing technologies that impact our lives. What happens at the intersection of people and technology? Find out each 1st Monday. Follow us & ask your questions via twitter using #BBSradio.